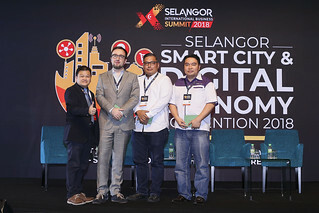 On the 23rd of January, the Selangor Information Technology and E-Commerce Council (SITEC) celebrated three happy occasions: the start of another year of aiding the efforts to grow the digital economy, its 60th trademark E-Commerce Class, as well as another year of E-Commerce Classes, with an opening ceremony at the Selangor Digital Creative Centre (SDCC), made better with a Yee Sang event as well. Gracing the event was Guest of Honour YB Dato’ Teng Chang Khim, Committee Chairman of Investment, Industry & Trade, and Small & Medium Enterprises (SME) and Transport, who spoke during the opening ceremony, praising the efforts of SITEC in building up the e-Commerce community, while speaking about the efforts his delegation has made in forging closer ties with commerce authorities in China for the benefit of Selangorian merchants. 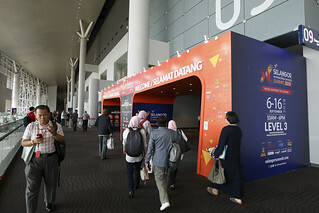 September this year,” said Dato’ Teng during his speech. Also present at the event was SITEC Chief Executive Yong Kai Ping, who spoke about the educational efforts that have been made in bringing brick and mortar merchants into e-Commerce, whether it is through the Online 100 programme, the E-Commerce Classes, or SITEC Academy. 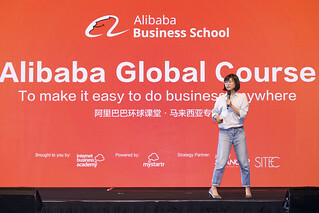 “SITEC is proud to introduce concepts such as selling online, omnichannel retailing, and new retail to merchants who wish to learn about e-Commerce, and we now have, not only the EC Classes, but also Master Classes. We are also planning on rolling out examinations on SITEC Academy, so that merchants can test themselves with the knowledge they have gained as well,” said Yong during his speech. After the speeches of both Dato’ Teng and Yong came the symbolic tossing of the Yee Sang, marking the official launch of the 2018 series of E-Commerce Classes.